SIMI VALLEY, Calif. — A discussion among some of the top minds in military space proved what many defense analysts have suspected: The battle of whether to create an independent Space Corps is likely to continue in future years despite lawmakers stripping its formation from the 2018 defense authorization bill. During a Dec. 2 panel at the Reagan National Defense Forum, Rep. Mike Rogers, R-Ala., one of the architects and chief proponents of the Space Corps language, vowed that he would not give up the fight to establish the corps, even if it takes several years. “What I was and am hopeful about with this Space Corps is with its implementation — and it will be implemented in the next couple years, the next three to four to five years — we will hopefully have this pilot program that we can take … and create an agile nonbureaucratic acquisition system and prove it works, so that we can then replicate it with the other services,” he said. Click here for more news from Reagan National Defense Forum. The FY18 NDAA, which is currently awaiting President Donald Trump’s signature, forbids the establishment of a Space Corps, but requires the Pentagon to commission an independent organization to develop a path forward for creating a “separate military department for space.” That, experts have said, will likely generate the analysis necessary to pave the way for the future creation of the corps. Rogers and his allies in Congress argue that the Defense Department needs a separate force focused on space dominance, that would have a more rapid acquisition process and its own funding stream. But the concept has been widely criticized by Air Force leaders, including two of the panelists sitting aside Rogers, Air Force Secretary Heather Wilson and U.S. Strategic Command head Gen. John Hyten. Both Hyten and Wilson reiterated their opposition of a Space Corps, though they acknowledged systemic problems that include a slow acquisition process and stagnation in space-based weapons technology. But a Space Corps that would separate space procurement, training and operations from the rest of the joint force would not be helpful, she added. 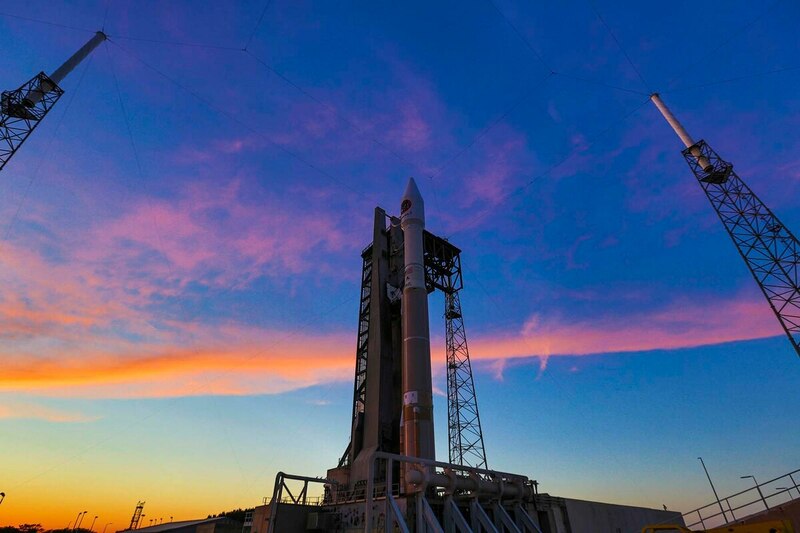 Instead, the military needs infrastructure that would increase its situational awareness in space, improved command and control, and new kinetic and nonkinetic weapons, she said. Wilson pointed to some near-term strides, including the formation of the National Space Council and the new space consortium that would quickly prototype innovative tech, which will be led by Advanced Technology Institute under a contract worth up to $100 million. The Air Force issued a request for information on Oct. 17 to companies interested in leading a new space prototyping consortium. Hyten added that the elevation of the head of Air Force Space Command to the newly-created position of Joint Force Component Commander for Space, which occurred yesterday, was also an critical improvement. “As much as I love space, it’s not my top priority at Strategic Command. My top priority is the nuclear enterprise, and it will always be — should always be — the commander of STRATCOM’s number one priority. Which means I need a four-star general, the smartest guy that I can find, and put him in charge [of space],” he said. Gen. John Hyten, the commander of U.S. Strategic Command, details changes in acquisition that he'd like to see, at the 2017 Reagan National Defense Forum. But Rogers said meaningful change will be impossible without a massive upheaval to the military’s space institutions. “If anybody really believes that you’re going to see dramatic change in the way national security space meets its challenges without dramatic organizational change, you’re fooling yourself,” he said.